These easy back to school snack ideas are part of a sponsored on behalf of G.H. Cretors. Sadly, summer always seems to come to an end far sooner than we’re ready for it too. We spend the entire year looking forward to this magical period where schedules no longer exist and everything is a little bit sweeter and life moves at a less frenetic pace. The first couple of weeks of school are now done for my girls, but for millions of kids throughout the country, the start of a new year is just beginning. Ready or not, getting back into the groove of a “regular” schedule and routine are imminent. As you’re stressing about waking times, transitions, and the anxieties of a new school year, let me help your skip some of the stress of this new schedule with these easy back to school snack ideas for after school! And aside from the popsicles, these would all work great for snack time at school as well. 1. Fresh fruit. Have your kids make a list of their favorite fruits and rotate with what’s on sale at your grocery at any given time. Usually the cheapest fruits will be those that are in season. 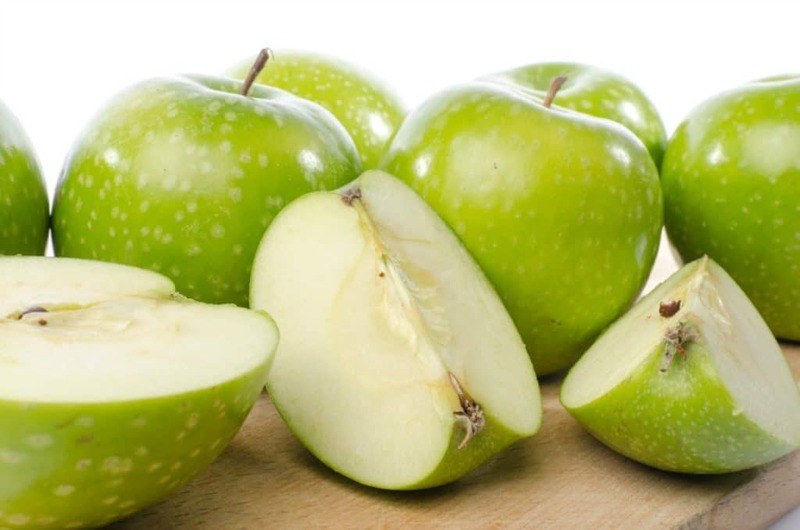 For fall, kid-approved favorites will likely be different varieties of apples, grapes, and pears. 2. Veggies and dip. I originally had veggies and ranch but realized not everyone likes ranch (who these people are, I don’t know) so I’m saying dipping sauce. The first step here is figuring out which veggies your kids like. Mine are anomalies and like veggies like onions, peppers, and carrots. I usually don’t offer raw onions for dipping in a lunchbox, but for an easy back to school snack any of these veggies work for dipping into ranch or hummus. Other veggie ideas if your kids are just venturing into eating veggies are cucumbers and celery. 3. Homemade popsicles. One of the keys to convincing your kids to eat more fruit is presenting it to them in new and fun ways. 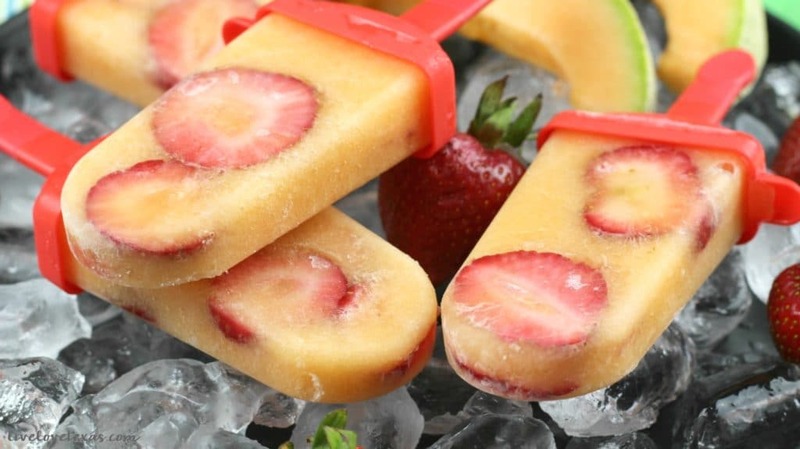 Instead of buying popsicles, try making this homemade fruit popsicles recipe instead using fresh (or frozen) cantaloupe and strawberries! 4. Yogurt. Whether you serve it refrigerated or frozen for an icy treat, yogurt is an easy and healthy snack idea for back to school. Allow your kids to get involved when shopping for the yogurt so you can ensure you’re buying flavors and brands that they actually like (psst…branding is important, especially for little ones). 5. G.H. 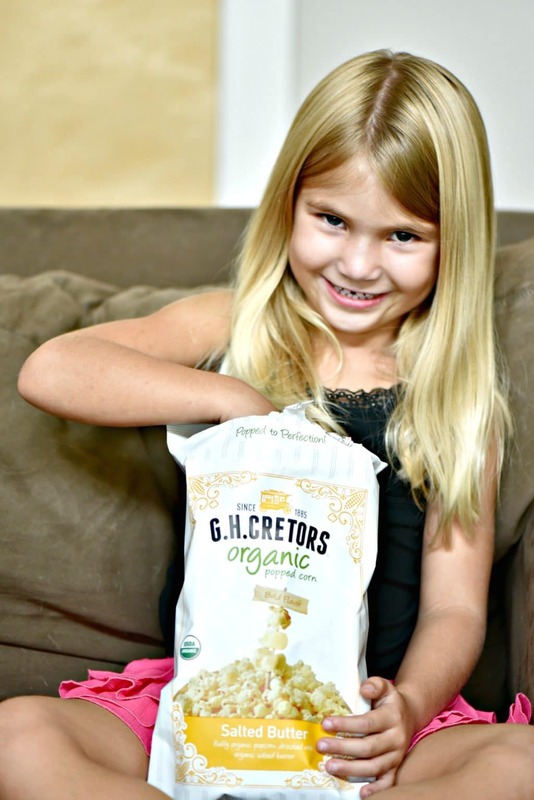 Cretors Organic Popped Corn. Notice I didn’t just say popcorn. Just saying popcorn would mean that any popcorn will do and that’s just not true. 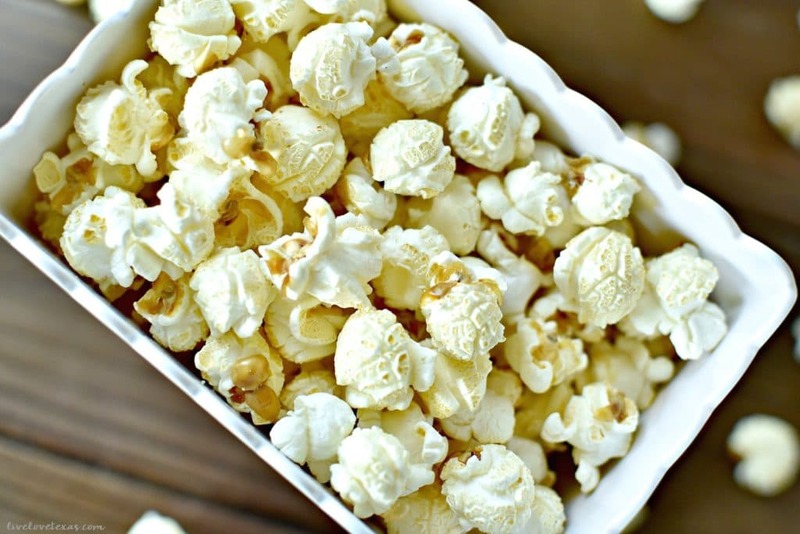 If you buy popcorn kernels or even microwave popcorn, you’ll have to waste unnecessary time cooking the popcorn yourself and that defeats the purpose of simplifying your afternoon with easy back to school snack ideas. G.H. Cretors Popped Corn is obsessively delicious with unique flavors ranging from savory to sweet. 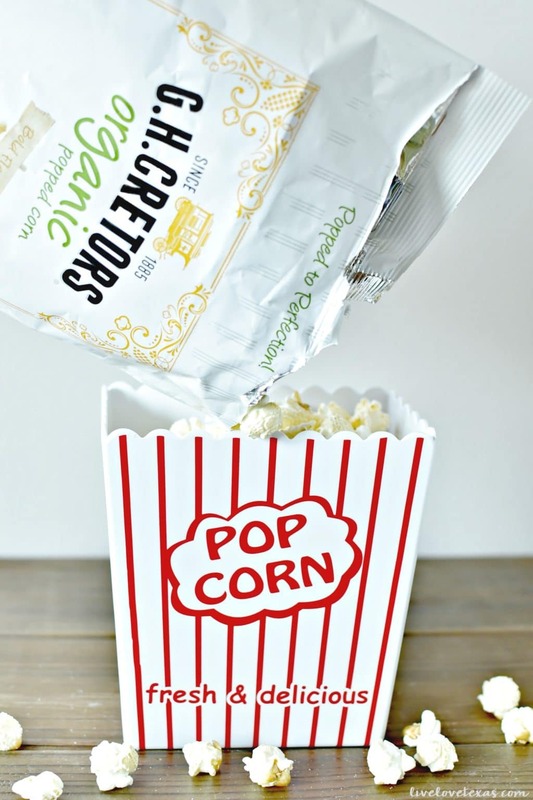 These popcorns are all created in small batches with real, high-quality ingredients, using no artificial flavors or colors, and some varieties are certified USDA Organic so it’s an easy back to school snack idea that you can feel good feeding to your kids. The Organic White Cheddar was a hands down favorite for the girls closely followed by the G.H. Cretors Organic Salted Butter but my personal recommendation for an adult after school snack (because let’s face it, we need one too) is the Organic Chile Jalapeño White Cheddar. It’s full of flavor with a hint of spice so even Colby can enjoy it. 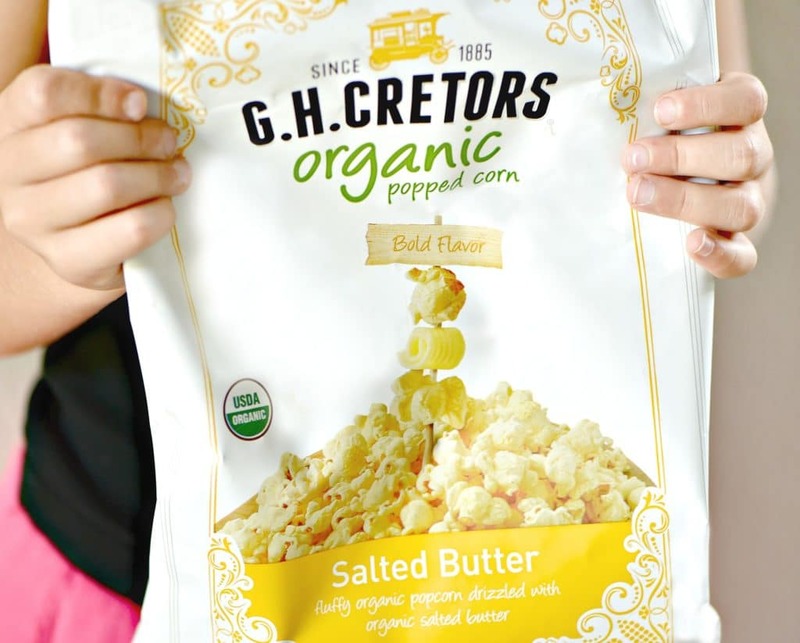 If your family loves popcorn as much as we do, you’re going to want to hunt down G.H. Cretors at your nearest grocery store because it really is the best. Learn more about the products on their website and stay updated on the latest product news, recipes, and ideas by following them on Twitter, Facebook, Pinterest, and Instagram! 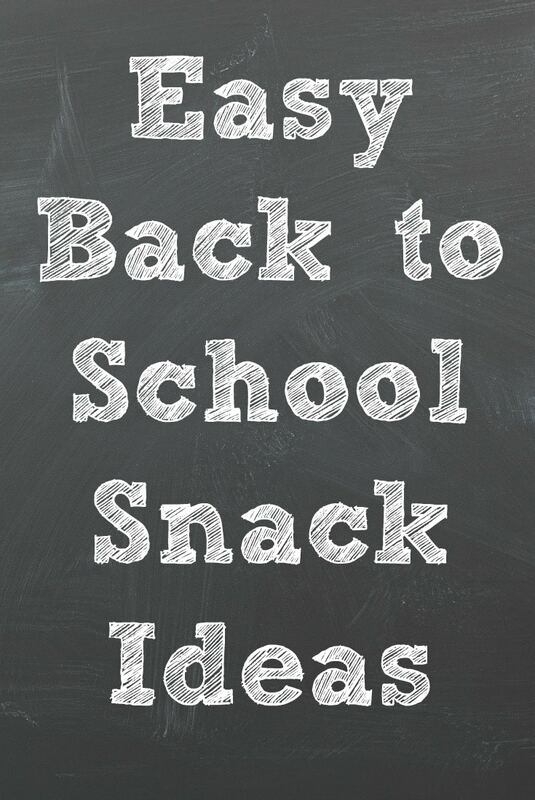 Do you have any other easy back to school snack ideas?